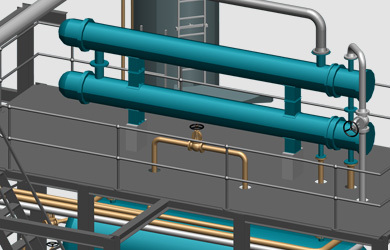 Plant design projects often suffer from data disconnect between different project phases. MPDS4 offers an integrated approach for all phases of a plant project. Cambridge, UK and Pittsford, NY – 22 June 2016: MPDS4, a database-driven plant design system supporting all the plant engineering disciplines, allows companies to plan, design, document and deliver plant or factory projects of any size, tightly integrated with other corporate data and processes. Plant design project managers face a huge number of challenges, not least of which is the efficient and quality-controlled collaboration of diverse project teams. 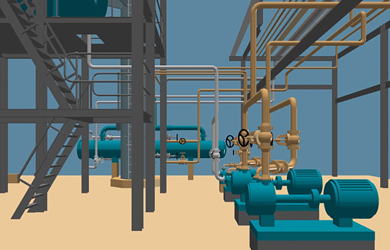 CAD Schroer’s MPDS4 3D plant design software allows engineering teams at different locations to design entire plants together, taking advantage of user access controls and change management functionality. MPDS4 is a database-driven software for all tasks in plant design. The engineering suite allows companies to plan, to document and to realize plant design projects irrespective of size. The software can be closely integrated with other company data and processes. Design quality is driven by rules-based, specification-driven design functionality supported by standard component catalogs for each engineering discipline. Detailed designs are created interactively in a 3D environment, and because components are quickly drawn on the fly from catalog definitions stored in the project database, plant size is no issue. Users can choose model detail levels and wireframe or shaded rendering display options to suit individual working styles. In MPDS4 plant components can be positioned and plumbed together. It is quick and easy to design complete steel structures, buildings, HVAC systems and cable trays. Integrated consistency checking and hard and soft clash detection ensure optimal design quality. MPDS4 supports the entire plant project engineering process, delivering the tools for conceptual, rules-based pre-sales layouts, 3D walk-through presentations, detailed design, and project documentation. The software’s open architecture allows it to be easily integrated into existing systems environments, working with other CAD and raster data, and integrating engineering data across all project phases via PLM and ERP systems interfaces. 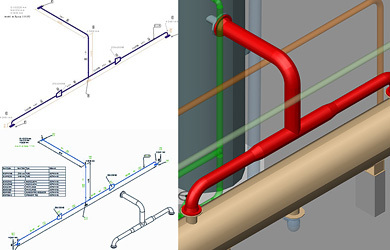 CAD Schroer’s MPDS4 plant design software is an integrated solution for all project phases, allowing companies to design complete buildings, steel structures, piping, HVAC and cabling systems regardless of plant size. Consistency checking and clash detection ensure high quality designs.